The information is presented in a very structured and readable way. 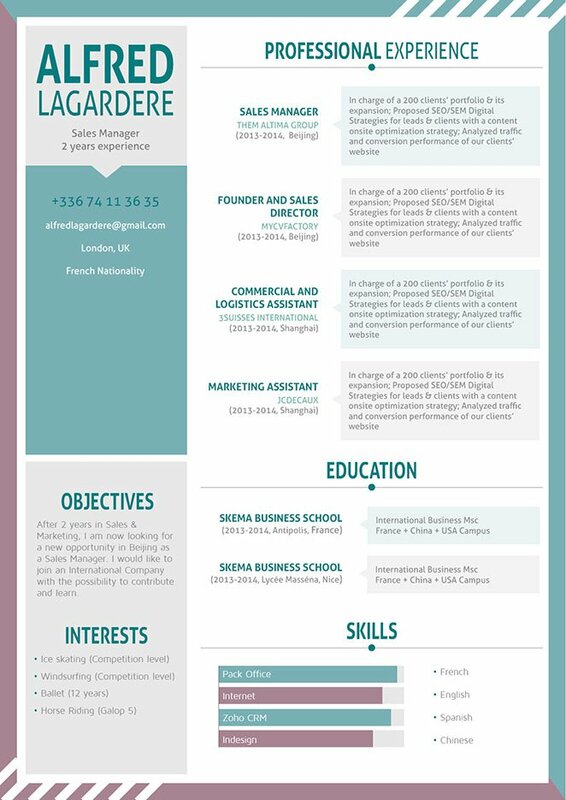 CV template to download "Motivated"
The Motivated resume is just what you need to stand out from the rest of the applicants! 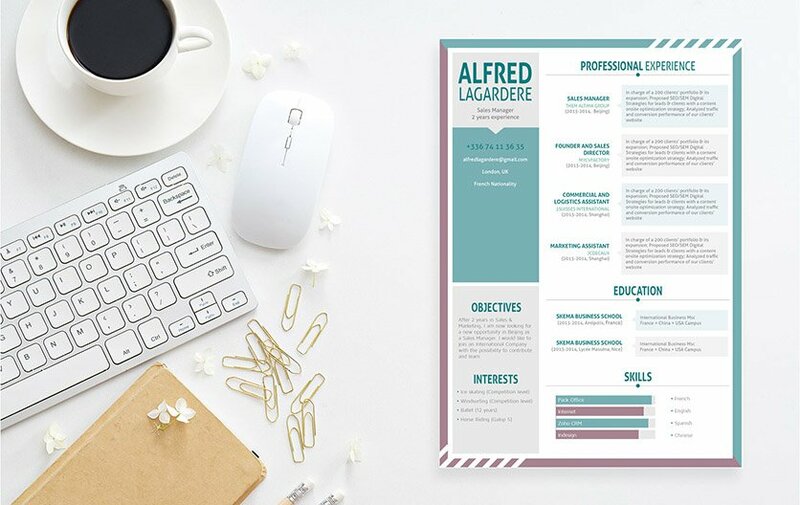 This resume template has a really creative design that will surely entice your potential employer. Because of its clean and well-structured layout this resume is perfect for any type of job you're aiming for. This resume will surely grab your potential employer's attention which will give you a great chance of landing that job! How to build an effective resume?—Well, that's simple! Make your resume have good and well-structured layout. Your resume can be one of the major factor of you getting that job. A key feature in good resume is the way its text is formatted. Make use of professional looking fonts like Seriff or even Sans Seriff—your font size should only be between 11-12; this makes each section of your resume easy to read without much clutter. Use bold and italics to guide the eyes of your potential employer to the key parts of your resume. This serves as hook for your resume that will reel in the eyes of your reader to the more detailed information of the cover letter.